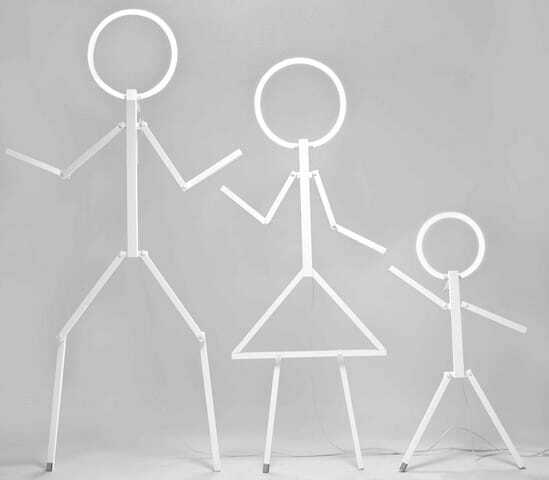 Thank you Constantin Alupoaei for sharing with us this floor lamp family. They were achieved by IZZI DESIGN studio, designer Constantin Alupoaei, Bucharest , Romania. The lamps are made up of FOREX material, white color, and the illuminating source is a neon tube. The idea came following the stylization of the human figure, resulting a simple and universal message. A drawing! All of us are children. 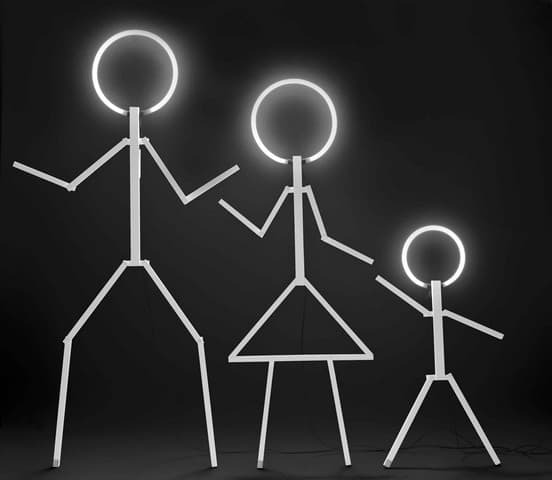 The Stick Family illuminates you and waits for you to have a joint dialog. Everyone can have its own family. You can create and develop an identity, a story. You just have to imagine. These lamps are under production. If you like them, they are for sale on www.yau.ro.